Amazon.com is currently offering the MitoMax Premium Probiotics product for dogs and cats with a 15% discount coupon. 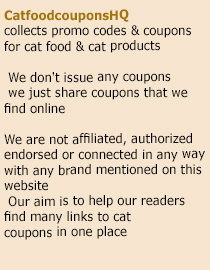 The coupon can be used by visiting the page through this link. MitoMax is a popular and high rated line of pet probiotics. The probiotics included in this brand are based on the bacteria Pediococcus. This strain of bacteria has been proven scientifically to have the ability to defend against exposure to oxygen, high temperatures and the extremely acidic environment found in the stomach. Its ability to be resilient in these difficult conditions helps it to maintain its effectiveness when taken by your pet. Each capsule of MitoMax contains Saccharomyces boulardii and the Pediococcus acidilactici beneficial bacterias in an amount of at least 1 billion bacteria per dose. In addition, MitoMax requires no refrigeration, unlike many other types of probiotics. The product is manufactured to be room temperature stable for up to 2 years. One capsule is enough for 1 dog up to 50 pounds in weight. 2 capsules are recommended for dogs over 50 pounds. The dosage can be safely doubled for dogs with acute needs. Probiotics are an essential supplement for any pet that is on antibiotics. A course of antibiotics can be very strong, and while they are very effective in destroying harmful bacteria, antibiotics also destroy much of the good bacteria in your system. For humans and pets, the use of antibiotics can have detrimental side effects, especially on your digestive system. Some side effects of antibiotic use include candida overgrowth, yeast overgrowth, urinary tract problems and digestive problems. Probiotics replace the good bacteria in your system and can stop these issues from affecting your pet and restore the balance of good and bad bacteria. Click this link to check it out. This entry was posted in MitoMax. Bookmark the permalink.